Join Marlowe Whitlow and become a part of making history at The World’s Largest Simultaneous Group Workout. He explains his overall goal for the challenge. “It is to get as many people out and get started off on the right foot for the New Year with exercising, but I also hope to be able to keep them motivated throughout the entire year. In addition, I anticipate introducing them to the most essential part of a healthy lifestyle which is acquiring better nutrition,” articulates Whitlow during a recent conversation with Consciousness Magazine. 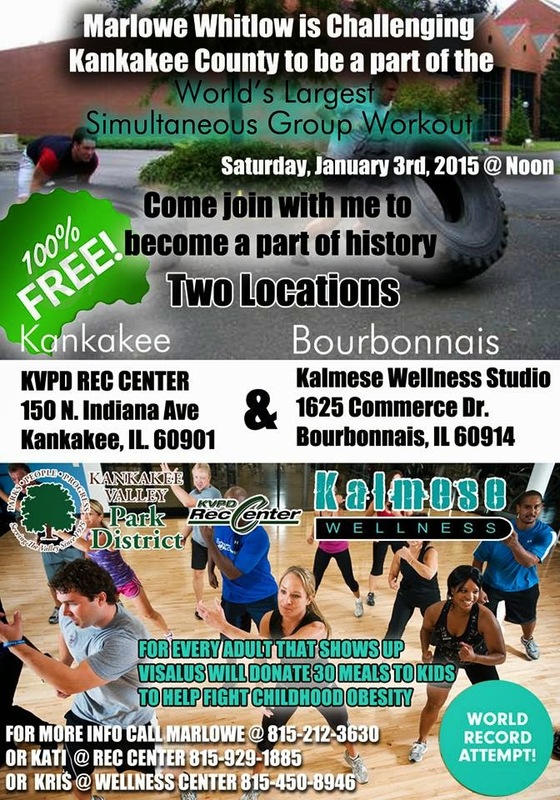 The World’s Largest Simultaneous Group Workout will be held at two locations, Kankakee and Bourbonnais, IL. The trainers will include Joseph and Tina Begley who will be present at the KVPD Rec Center in Kankakee. The Bourbonnais event will be held at the Kalmese Wellness Studio; trainers include Kris Calmese, James Jones and John Shivers. The community will benefit tremendously from attending. “The company, Visalus, will be donating meals back to the community for every adult that attends this event. They will donate 30 nutritional meals to children whom are at risk of obesity. In essence, it is a great platform for individuals, giving them a way to at least receive a free workout once a week. 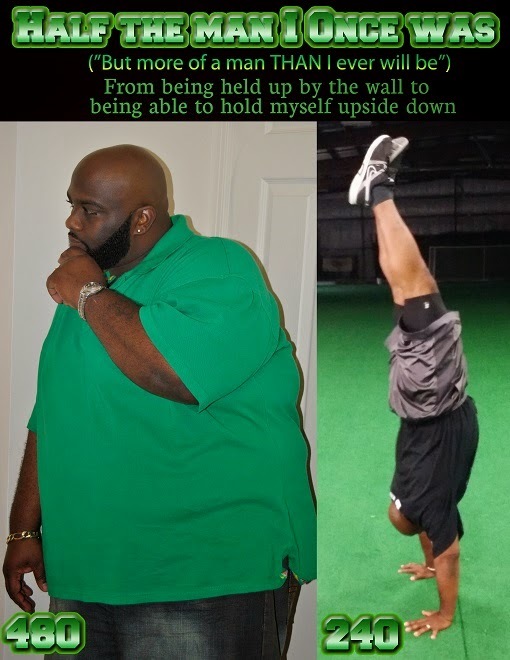 I am working with many leaders in the community at various locations to get this to be an ongoing endeavor,” sincerely explains Whitlow regarding his community efforts and also speaking in reference to Visalus, which is the #1 weight-loss and fitness Challenge platform in North America.